Although a majority of communication today is done online and networking is possible via social media, there are still elements of printed media that form an important part of your business. Business cards are still a useful tool in face-to-face meetings to pass on your contact details and present your brand – having a business card to hand shows you are prepared. Corporate stationery such as letterheads are still applicable, even if you email your documents out as PDFs. Your brand should be applied consistently throughout your printed and digital collateral. 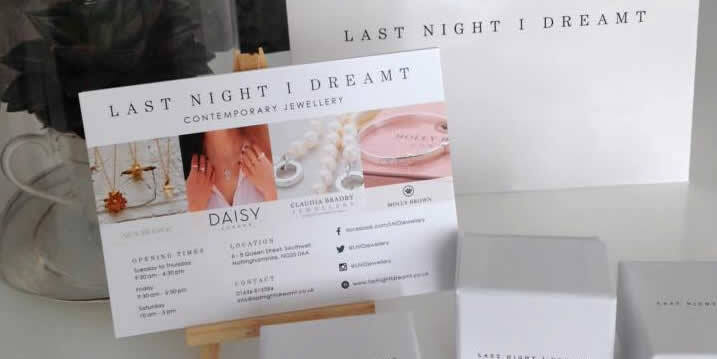 Bigger than a business card, more luxurious than a flyer, postcards are perfect to hand out at events, give to customers alongside their purchases or include in your packaging with orders you are sending out. The larger format allows you to combine your contact details with additional information and images and the opportunity to promote offers and key services that you would not be able to fit on a business card. Professionally designed leaflets and flyers are a cost effective way to promote your business, service or event. They are ideal for new businesses that want to ‘get the word out’ and can be a great way to promote events and offers within a local area. I can design and arrange printing of flyers that compliment your business’s branding.